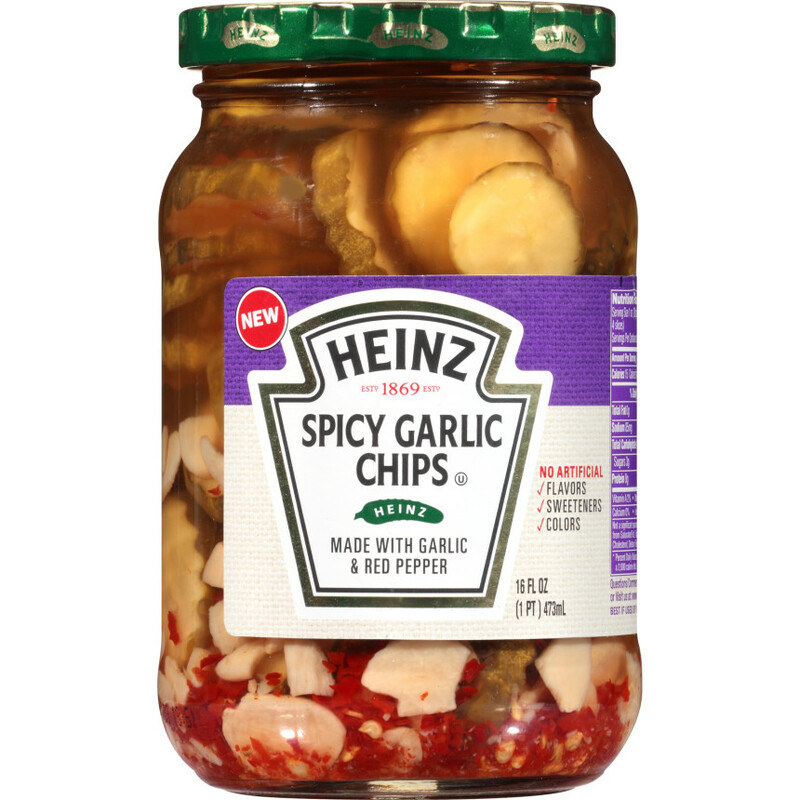 With all the crunch of a Heinz pickle, Spicy Garlic Chips are spicy with a robust garlic flavor, made with real garlic and red pepper! 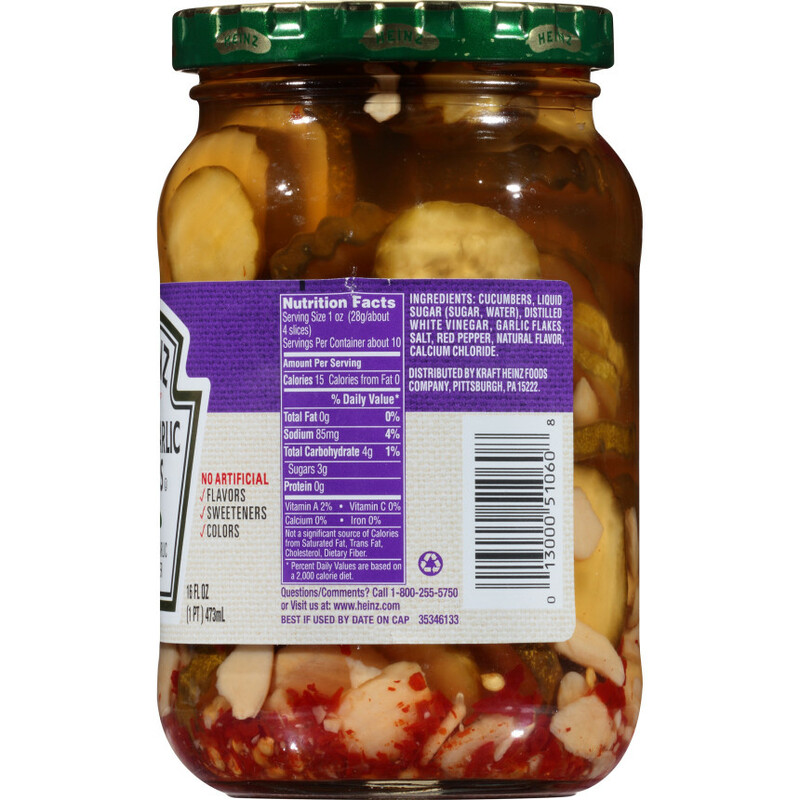 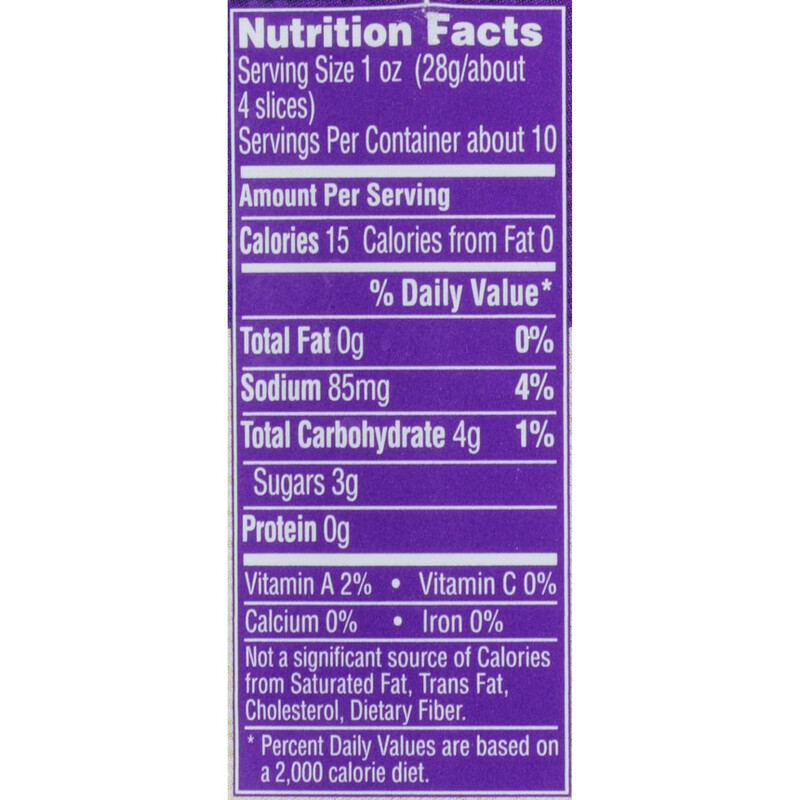 Great on sandwiches or as a quick snack! 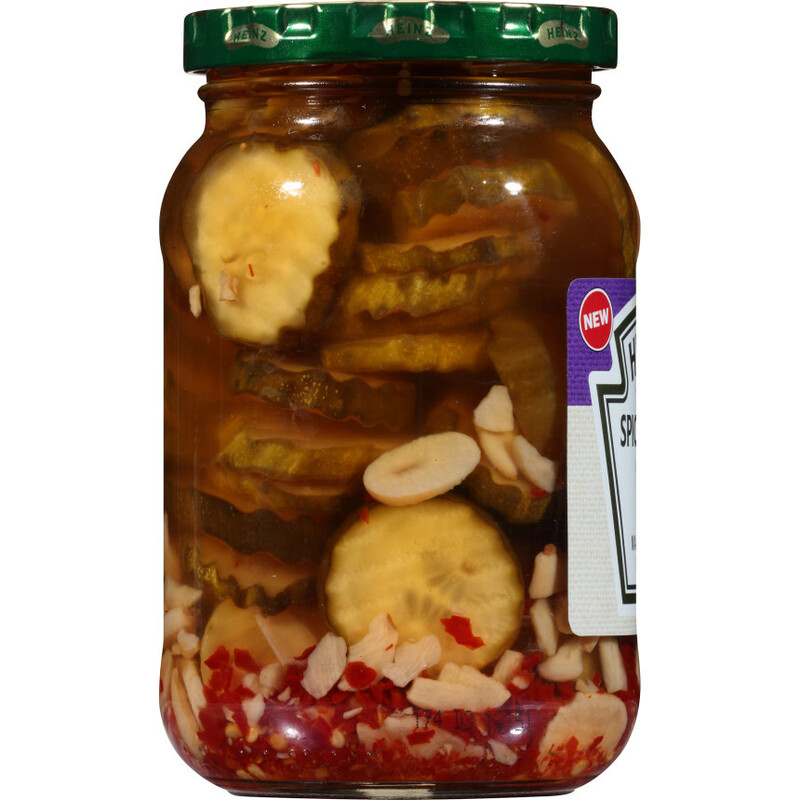 CUCUMBERS, DISTILLED WHITE VINEGAR, SUGAR, WATER, DRIED GARLIC, SALT, RED PEPPER, NATURAL FLAVOR, CALCIUM CHLORIDE.